Spring in the garden is a busy time for most gardeners. 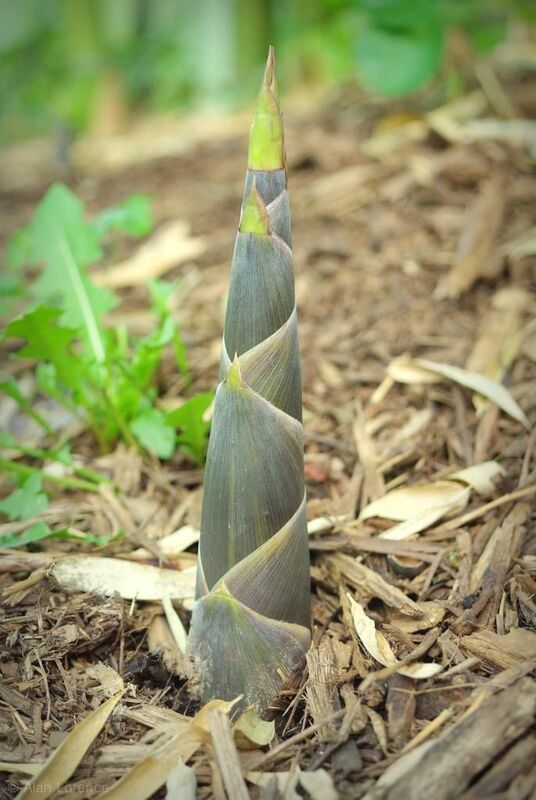 If you're like me there is planting, weeding, mulching, raking, bamboo rhizome pruning -- okay, maybe not that last one. There's a load of work to do though. At some point in the spring a change occurs, and things go from "there's so much to do!" to "wow, the garden in spring is so exciting!". The work* is still there, but you've gotten enough of it done that you can start enjoying what's going on around you. At least that's how I feel, and I think I've just passed that point. 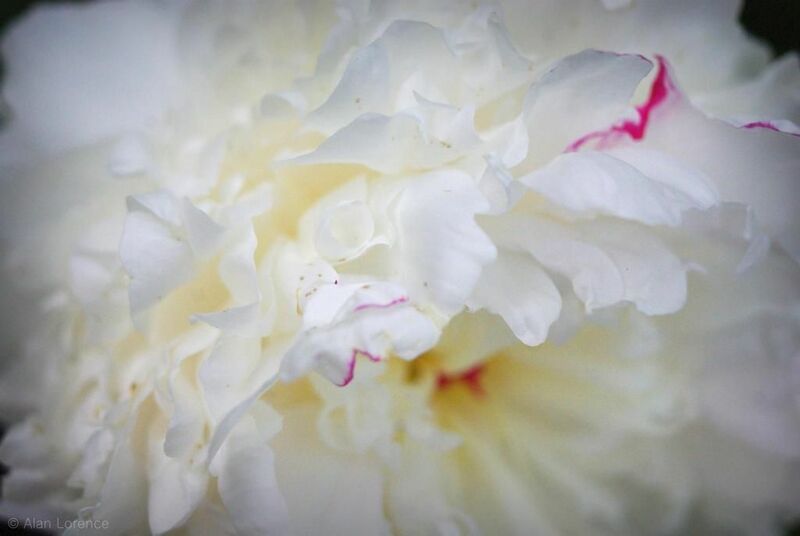 There's time to enjoy a peony bloom for instance. ...catching your gaze and not letting it go. 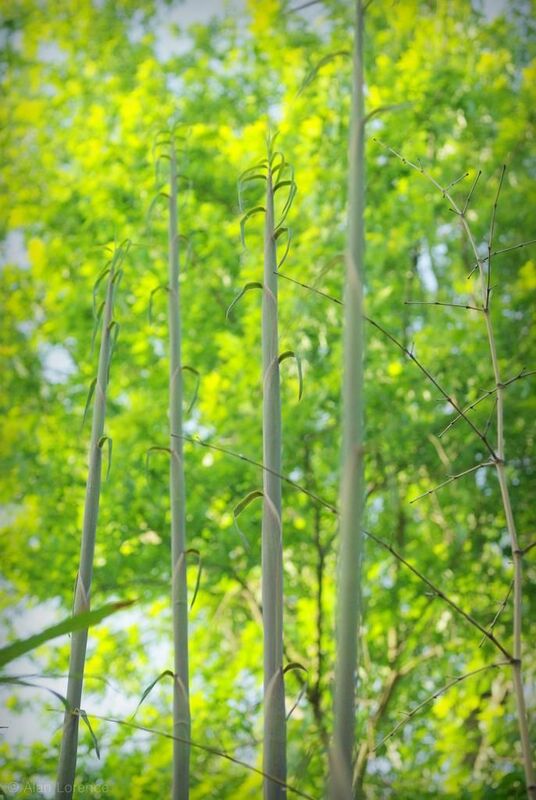 The freshness of new culms is so uplifting to me! 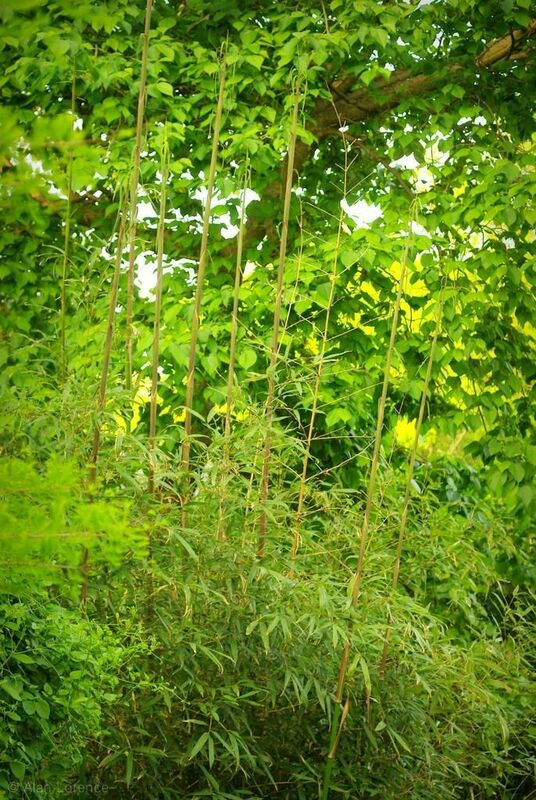 ...which happens to be my favorite bamboo. 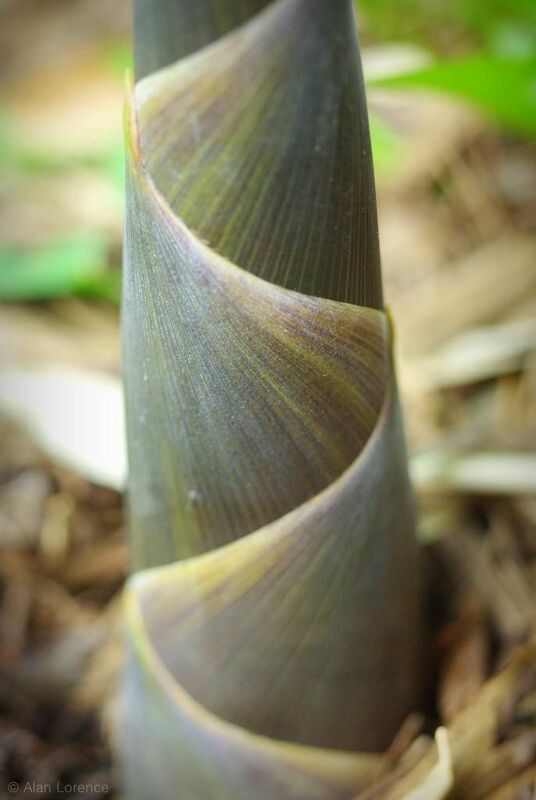 It's got some exciting shoots this year! 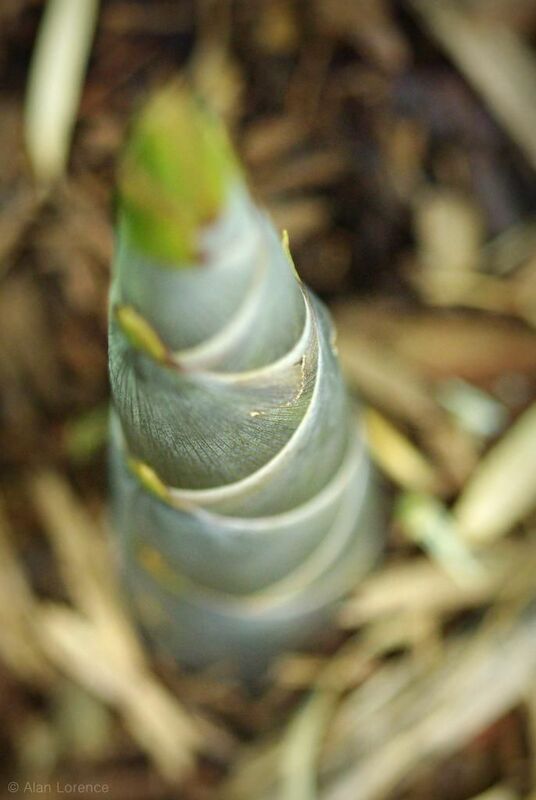 I'm quite pleased with the size and quantity of shoots from all of the bamboos this year, especially compared to last year when each plant produced just one or two new culms. 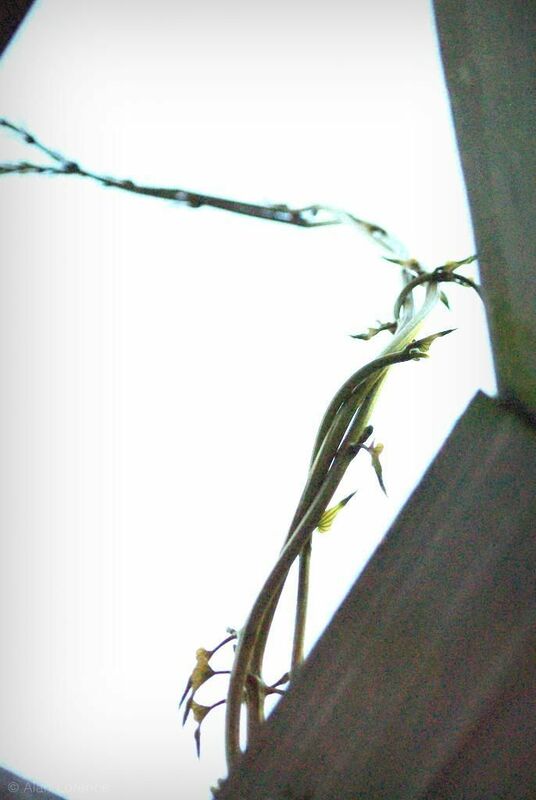 ...but is already rocketing past the top of the trellis. I suspect I'll need to do some pruning on this one! 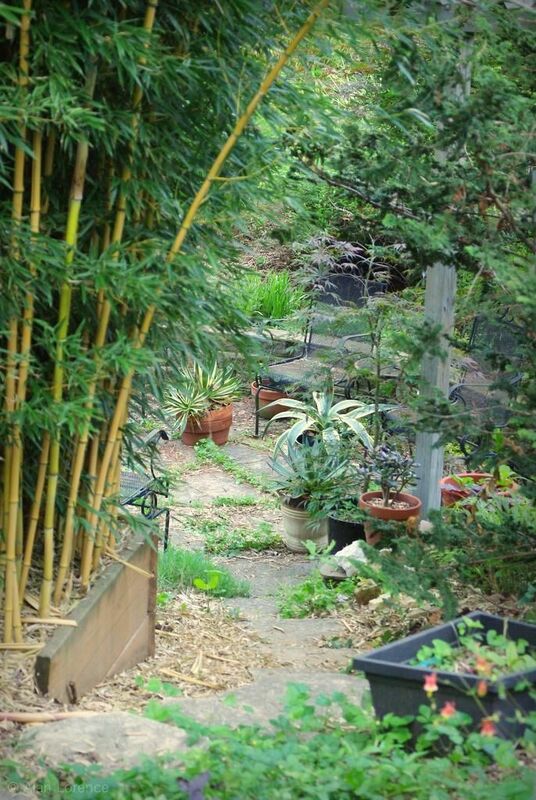 How an almost randomly placed pot or two can really make a garden view! The Agaves I put into the partial shade of the patio work so well there, I'll miss them when I move them into full sun. 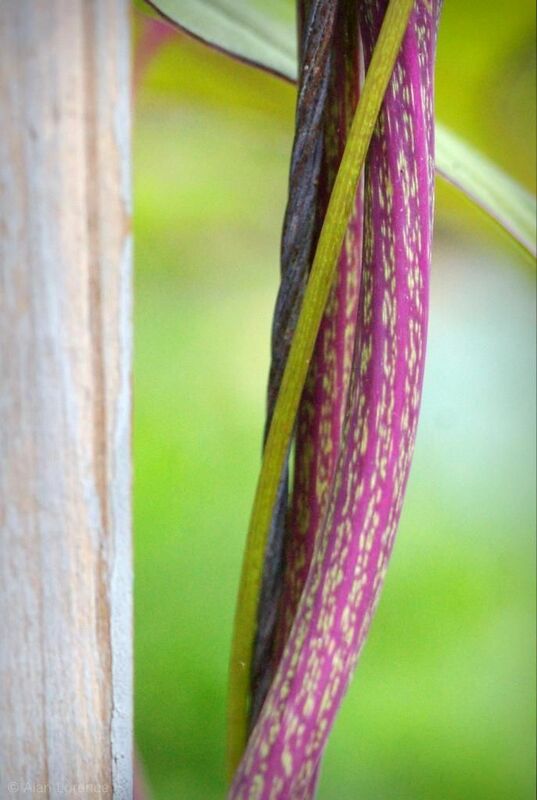 Is your garden exciting you yet this spring? * it's not work, it's gardening! Yes, and so far so good! 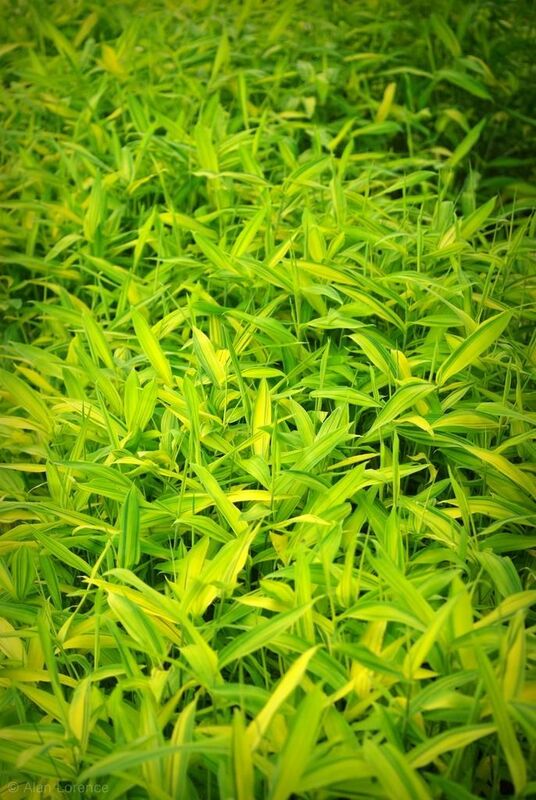 Really impressed on how advanced your bamboos are when it comes to flushing, and that swathe of Viridistriatus looks great! Wow! Those agaves really pop in that last picture. 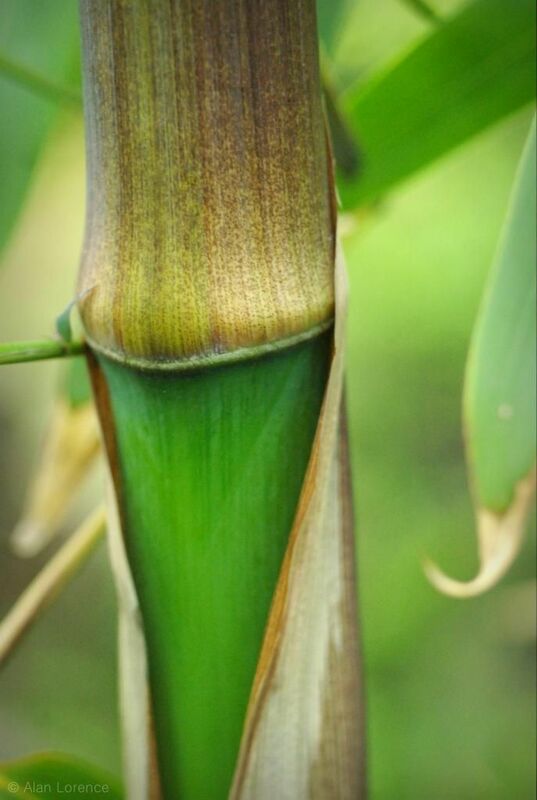 Your bamboos shoot a lot sooner than mine! Although my Pleioblastus viridistriatus is recovering nicely from it's late winter haircut to the ground. 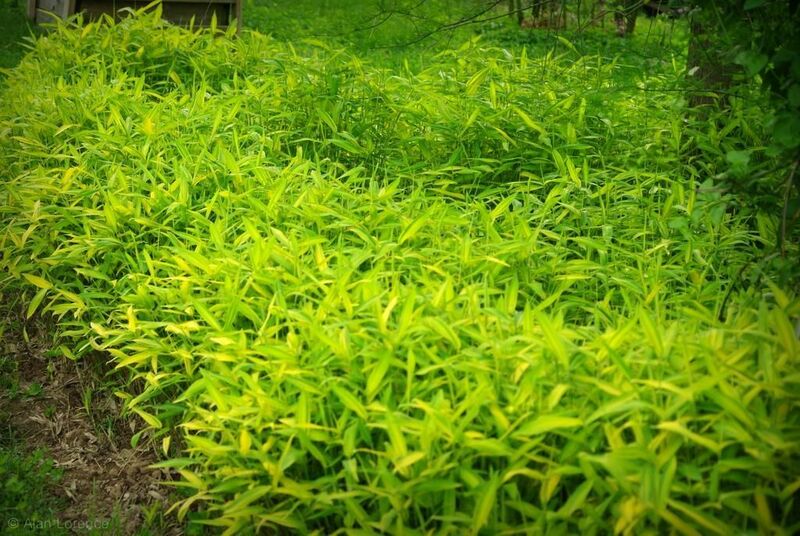 But the arboreal bamboos here won't start for another few weeks and one of mine doesn't start until late July some years. Must be your earlier heat. I've been enjoying the wonders as I work but am dreadfully behind this season as I've been visiting plant sales and nurseries with far too much of my free time! Naturally that last image is my fav, so glad you have some mature agaves to haul around and enjoy! (And I'm still kind of at the overwhelmed stage of spring).